Hawaii Native Status: Introduced. This naturalized garden plant is native to southern and eastern Africa. 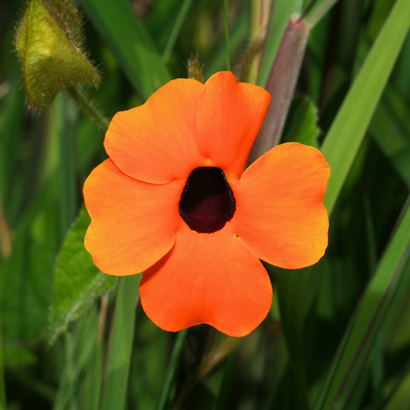 Description: The broadly tubular flowers have 5 lobes and a distinctive black center "eye". 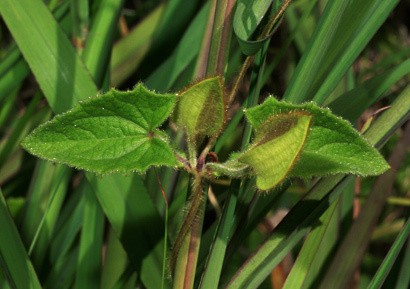 The leaves are green, covered in fuzzy hair, simple, opposite, heart-shaped or arrowhead-shaped, and sometimes coarsely toothed. The stems are hairy and twining.